What started as an excuse to try out some good food on our Chinese made bikes has become a monthly ride for us at Flying Pigeon Los Angeles. Leaving from our shop every 3rd Sunday morning our rides tend to move at a relaxed and leisurely pace as we head towards local dim sum palaces in Chinatown like Empress Pavilion, the new Chinatown venues in Alhambra like King Hua and even some specialized dumpling shops like Luscious Dumplings in San Gabriel. Join us at the Flying Pigeon LA bike shop (located at 3404 N. Figueroa St., Los Angeles, CA 90065) at 10 a.m. on Sunday, November 18, 2012 at 10 a.m. The ride departs at 10:30 a.m. We typically get back to the shop at 1 or 1:30 p.m.
What is dim sum? Chinese brunch, heavy on the pork and shrimp, savory, inexpensive (usually), and a perfectly sound reason to cruise around town on your bike on a Sunday morning. Bring some cash – we eat family style at most dim sum houses and split the check (typically $8 to $15 per person). This is a bike ride, so you’ll need a functioning bike and the ability to ride it. If you don’t have a functioning bike, no worries! 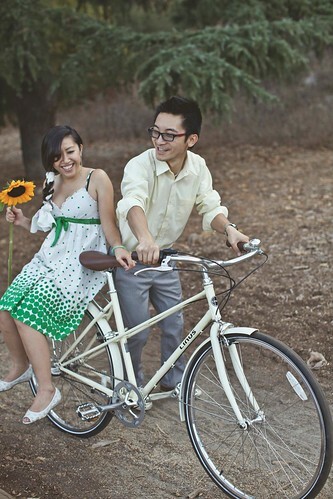 We rent our single speed beach cruisers for $20/ea. There is a Facebook Event page for this ride.